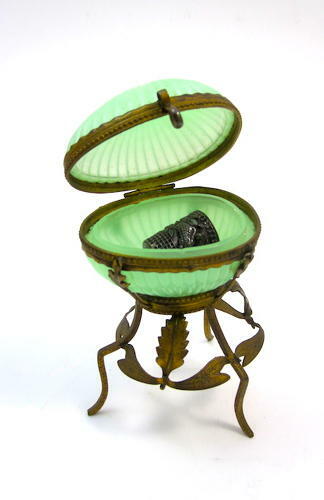 Antique French 19th Century Green Opaline Glass Egg Thimble Holder with Dore Bronze Mounts. Pretty Green Opaline Glass Egg Mounted by a Dore Bronze Stand Decorated with Leaves. Does not include the Thimble.